LinkedIn LinkedIn Corp. (NYSE:LNKD) is the best business-related social platform I use, and I am on there almost every day, even more than Brandergy, which I like a lot. For the past three days, every time I click on a LinkedIn invitation link that comes to me via email or twitter, LinkedIn hangs the browser. The problem was with one of the LinkedIn Content Delivery Network (CDN) domains, s.c.lnkd.licdn.com. This domain serves up certain cached data, from data centers spread throughout the world – except right now, in Australia, it fails to deliver anything. The whole idea of using a CDN is that it makes pages load faster, because many static components of the page are stored in data centers close to the people making the request – closer than if everything was feeding from a single server on the other side of the world or even the other side of the country. As a problem solver, my normal response is to write to the site owner and tell them they have a problem, and why. This week, I was far too busy, and because it was a big company, and I knew they were making changes in their system, I figured they would know about it, and could fix it without my interference. It turns out I was wrong, because here we are 4 days later, and it is still broken. The big problem is that none of the page renders at all, because even though the main html for the page was downloaded within 1-2 seconds, the browser doesn’t have enough information to start building the layout. After waiting for more than 60 seconds, I refreshed the page. On the second time through, the heading and top menu displayed, but nothing else. After one more try, I was ready to give up on it, and instead shortened the URL to only display the front page. That failed too, but another refresh brought up the whole page. Then, going back to the original link I clicked it again, and the page did load, with not a single call to the failing CDN. It could be that LinkedIn doesn’t even know it is failing. Running a traceroute from the NewsBlaze server in Houston, I saw they have a CDN delivery point in Dallas. 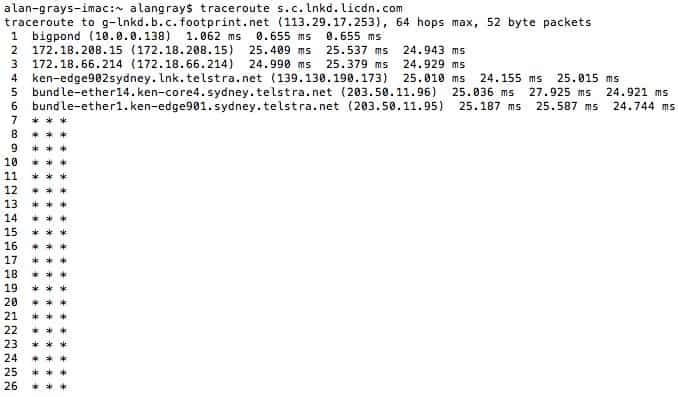 Right now, I am in Australia, and a traceroute to the CDN fails after it hits an edge router in Telstra’s Sydney office. Telstra is the Australian phone company. This means it could be a Telstra problem with access or routing or it could be that LinkedIn or their CDN supplier haven’t configured it correctly. The graphic below shows the traceroute from my desktop. The IP address returned by DNS is 113.29.17.253 and according to senderbase.org, it is in Sydney. According to GDP Insider there are now 5 million people in Australia on LinkedIn, an impressive number, considering that the total population is only 23 million. That should mean that I’m not the only one seeing this problem. 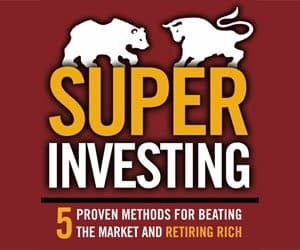 So the moral of this story is, even big companies need to be notified when things go wrong, and you should always do it – if you care about them enough to take the time.